After his victory Tuesday in the Democratic primary, Councilman Bill Peduto jumped on the fast track to becoming the next mayor of Pittsburgh. After all, no Republican has been elected to that office since the Great Depression, a particularly depressing fact for GOP nominee Josh Wander. All of sudden, however, Peduto has hit a speed bump. 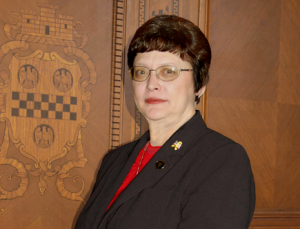 Pittsburgh City Council President Darlene Harris has emerged as a possible third-party candidate. As reported by the Pittsburgh Post-Gazette, Harris changed her party registration from Democrat to Independent at 4:22 on April 22nd, just thirty-eight minutes before the deadline to qualify for a third-party candidacy in the general election. Harris told the Post-Gazette that she “would not elaborate on her political intentions.” If she wished to join the race, she has until August 1st to decide. PoliticsPA is seeking a comment from Harris. Harris was briefly a candidate in the Democratic primary but dropped out last month. She made a brief impact on the campaign when, while endorsing Wagner she criticized Peduto as someone who “doesn’t work well with others” and holds “petty grudges”. These charges were used in an attack ad Wagner launched in April. Harris’ unexpected party switch drew a sharp rebuttal from Ward Committeeman Matthew Hogue as reported by Chris Potter of the Pittsburgh City Paper. In a letter sent to Alleghany County Democratic Committee Chairman Nancy Mills, Hogue invoked Rule XI Section 4 of the party guidelines. The section states “Any member of the County Committee or party officer who shall register as a member of any other political party shall cease to be to a member of the County Committee or a party officer and his or her office shall be declared vacant”. It’s unclear how much Harris’ potential entry could affect the race. The Democratic nominee has won the mayor’s office every election for decades. As J.J. Abbott, the former campaign spokesman for Peduto’s primary rival Jack Wagner tweeted, “Attention on poss. independent challenges is wasted. Should be on @billpeduto & his plans. He won & will in Nov. Horserace over. Dems have a 2:1 registration advantage over Republicans in Pittsburgh and those who are actually engaged are for Peduto. Unless some serious skeletons come out of his closet between now and the general election, this race is over. Talk about a sore loser.